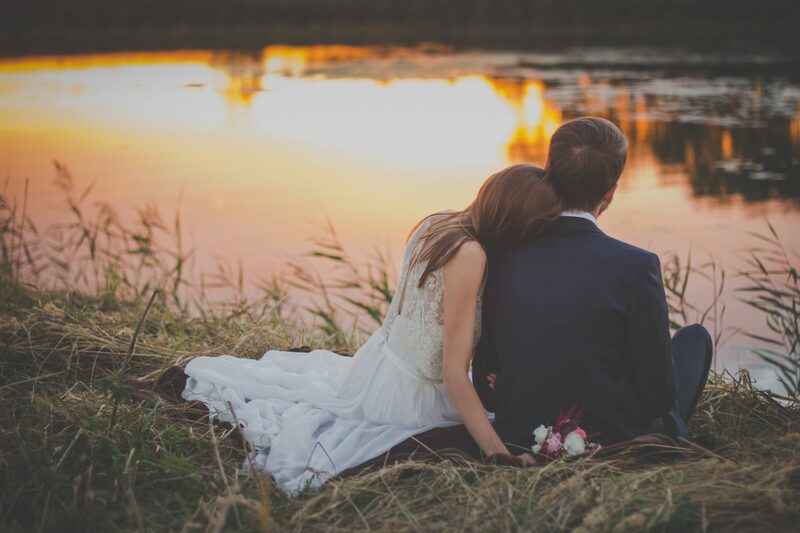 Amidst the rolling hills and farmland at Gallagher Farms, lies a quaint country pond tucked back amongst maple trees that adds to the aesthetic beauty and rustic glamour of Bay View Weddings. We offer this wonderful and relaxing atmosphere as a natural setting and beautiful backdrop for your special day. You are welcome to share your vows as the water gently rolls in while a soft breeze moves across the water, providing the perfect setting for a romantic and lovely wedding ceremony. Bay View Weddings at Gallagher Farms is a fourth-generation farm that services the Leelanau County and Traverse City, Michigan area. We offer a wide variety of wedding experiences and special event opportunities for those seeking breathtaking views of Grand Traverse Bay, a gorgeous rustic farm setting, and a beautiful destination wedding or event in Northern Michigan with the grandeur of an elegant farm venue.